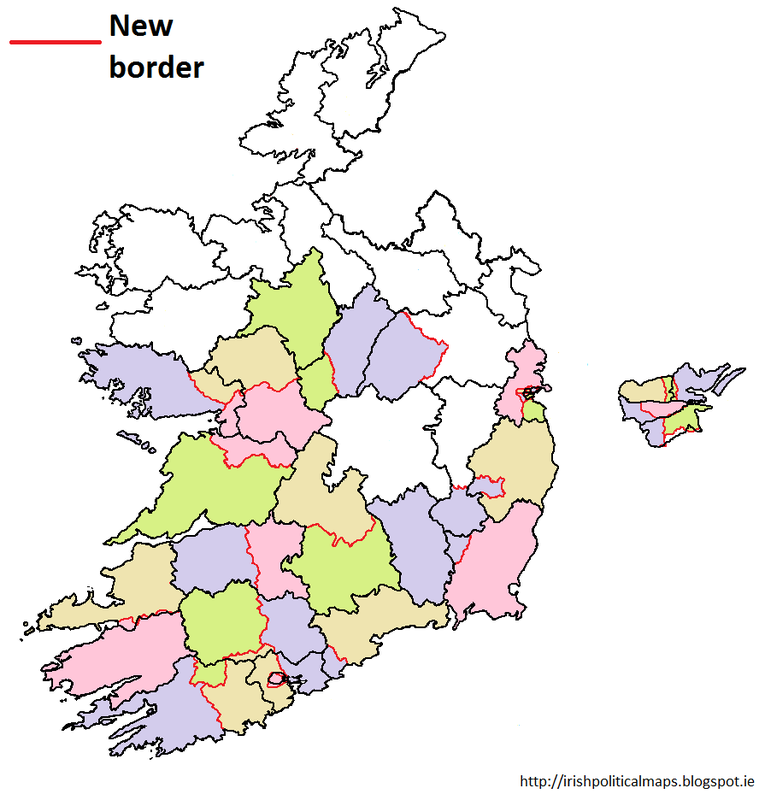 The 1947 Electoral (Amendment) Act redefined Ireland's constituency boundaries for the third time since independence. The number of constituencies rose to 40, with Dublin city and county being divided up to create three new areas. Likewise the number of seats in Dáil Éireann rose by 9 to 147, including the Ceann Comhairle. This redivision also did away with the large 7 seat constituencies that had featured since 1921 - the largest constituencies now were 5 seaters, and this remains the maximum size of constituencies today. These constituencies were first used in the 1948 general election, which saw the formation of the first Inter-Party government - a coalition between Fine Gael, Labour, Clann na Poblachta, Clann na Talmhan, National Labour - which lasted three years before Fianna Fáil returned to power, only to lose to the coalition once more in 1954. These constituencies were abolished by the 1961 Electoral (Amendment) Act, another step in the continuing evolution of Irish constituencies.